The first year or so of a pastor’s tenure in a new congregation is precarious; many pastors stay at a new congregation for fewer than five years. This handbook helps coach both experienced and new pastors to enter a new congregation effectively. 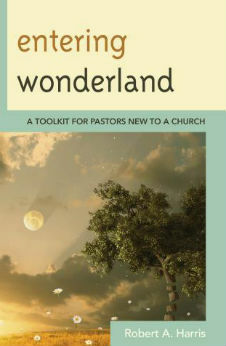 Drawing from organizational systems leadership material in religious and secular worlds, it offers nearly 50 tips and tools designed to help new pastors analyze their congregation’s system and then to lead leaders within the congregation to affect positive change. Using imagery from Alice in Wonderland to clarify various archetypal roles within the church community, Harris provides concrete suggestions for facilitating communication and dealing with difficult behaviors within the congregation. He provides a coaching approach to ministry, in which the pastor reframes issues and asks provocative questions—a powerful strategy to maximize a new pastor’s chances for success. Before getting down to business in the new year, invest some time in board development, writes the managing director of Alban at Duke Divinity.